The Uhlsport Absolutgrip Bionik+ goalkeeper gloves patented finger protection technology offers advanced stabilization of the fingers and outstanding distribution of the impact forces without limiting the flexibility. The + (plus) refers to the additional finger support placed in the thumbs. Inspired by the best structural engineer of all time Mother Nature the BIONIKFRAME is designed to mimic and enhance the natural arrangement and operation of the musculature of the human hand. The result: Stable. Flexible. Lightweight. Bionik frame finger save technology is a close imitation of the human hand and finger tendons. 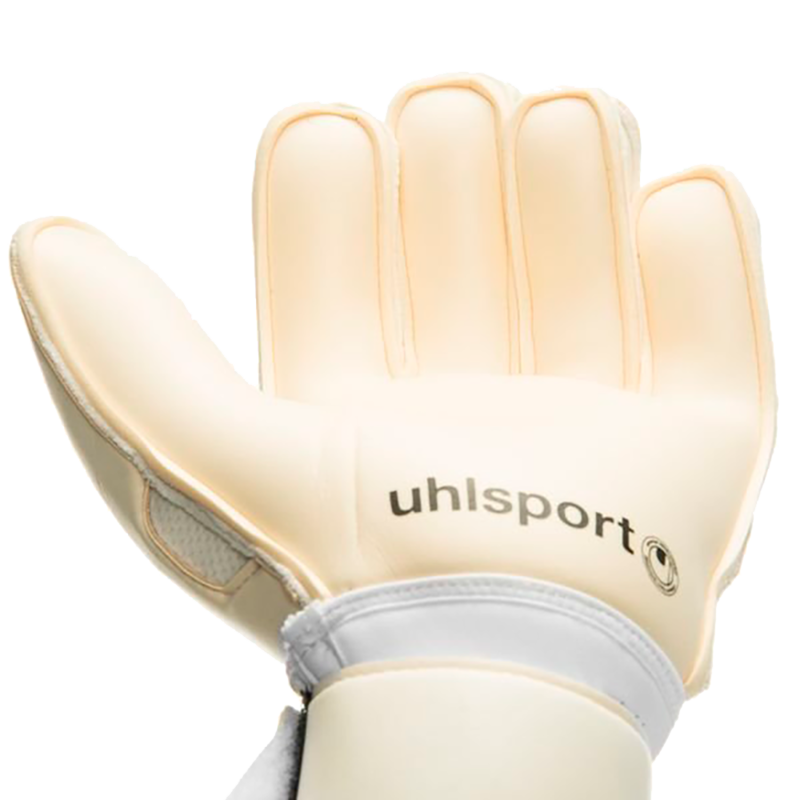 The Uhlsport is for keepers that require support but find the plastic finger stays found in other manufacturers to be too rigid and hard to close. 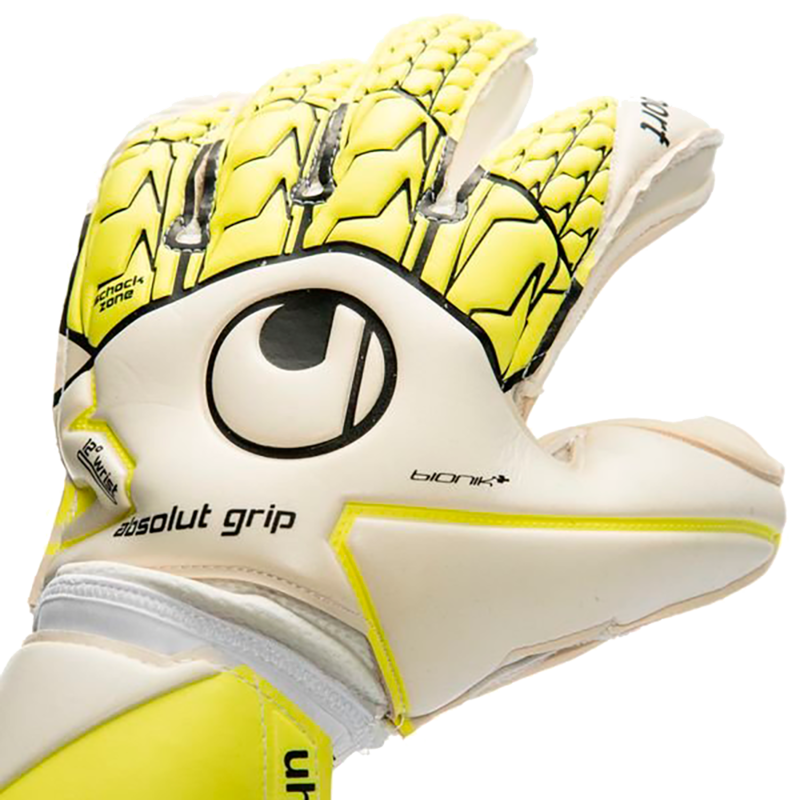 If a finger protection system is too rigid a goalkeeper will drop shots and give up more rebounds. ABSOLUTGRIP molded featuring shock zone inserts on the knuckles. These molded inserts protect the fingers when punching. Special embossed, abrasion resistant backhand parts for better durability of the glove. Breathable textile base material for outstanding wearing comfort. 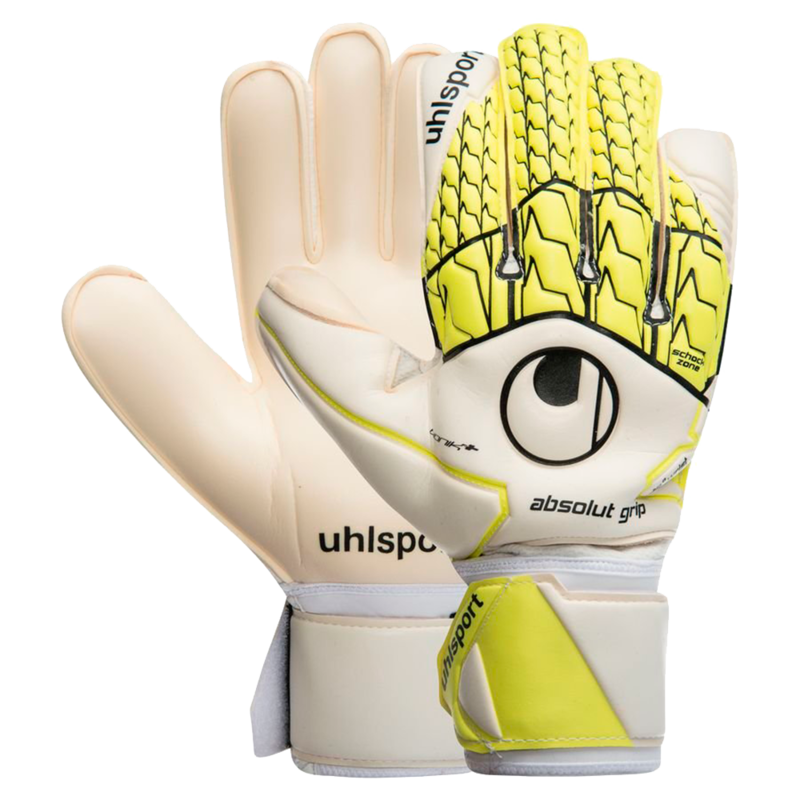 The Uhlsport Eliminator Absolutgrip Bionik+ is a classic cut for a wider palm and more comfortable fit. Ergonomically pre-curved for best wearing characteristics. The 12° angle on the wrist supports the ergonomical hand position for perfect catching performance. The classic cut is better for goalkeepers with wider hands but will offer extreme comfort for all keepers. Wrap around latex strap and full neoprene wrist band for best wrist fixation and support. Comfortable wrist closure for a goalkeeper with a more athletic build. Advanced goalkeeper game glove. High School and College keepers will enjoy this glove. All weather latex. This latex performs best when kept slightly damp. They catch well and the finger save framework works.